M. Shane Henry is an AV Preeminent Rated Trial Lawyer by Martindale Hubbell. He received Juris Doctorate from the University of Tulsa College of Law in 2006 and is certified to practice law by the Supreme Court of Oklahoma and is a member of the Oklahoma Bar Association, Tulsa County Bar Association, Creek County Bar Association and the American Bar Association. Mr. Henry’s practice is focused on Trial Advocacy in Oklahoma and Texas, and he is an experienced and acclaimed criminal law and family law attorney. Mr. Henry is a section member of the Family Law Division of the Oklahoma Bar Association and serves as a committee member for Continuing Legal Education and Social. Mr. Henry was the 2013 Oklahoma Bar Association Family Law Section CLE Chair and Chair Elect. He is the 2014 Chair of the OBA Family Law Section. He is also a member of the OBA Young Lawyers Division, ABA Family Law Section, ABA Young Lawyers Division and section member of the Tulsa County Bar Association Family Law Division. Mr. Henry completed the 2010 American Academy of Matrimonial Lawyers (AAML) introductory seminar for Family Law Associates and the 2012 AAML Advanced Training Seminar on Negotiations taught by the faculty at Harvard Law School. He was a seminar presenter of Continuing Legal Education on Social Media Discovery at the 2011 Oklahoma Bar Annual Meeting and has been named as an expert witness on the topic of attorney’s fees. 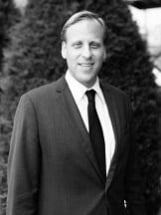 In 2012 Mr. Henry successfully completed the ABA/NITA Family Law Trial Advocacy Institute in Boulder, CO. In 2013, Mr. Henry successfully completed the Houston Family Law Trial Institute. He successfully completed the Roger Dodd Trial Skills training on advanced cross-examination in 2014. He has presented CLE courses on numerous topics related to Oklahoma Family Law. Mr. Henry was a co-founder, teacher and presenter at the inaugural Oklahoma Bar Association Family Law Section Trial Advocacy Institute.